We are proud to announce that we now provide Botox and cosmetic filler injections to help correct deep wrinkles and provide lip – facial structure enhancement. 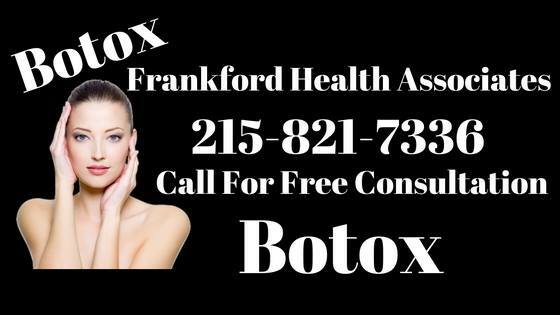 For your Free BOTOX consultation call us now at 215-821-7336. For your free Botox consultation call us now at 215-821-7336. This entry was posted in Weight Loss and tagged affordable Botox in Philadelphia, Botox bunny lines, Botox deals in Philadelphia, Botox doctors in Philadelphia, Botox eyebrow lift, Botox for crows feet, Botox for eyebrow shaping, Botox for facial wrinklesBotox for frown lines, Botox glabella lines, Botox groupon, botox in philadelphia, Botox near me, Botox specialist in Philadelphia, Botox specials in Philadelphia, cheap Botox in Philadelphia on March 27, 2017 by Dr. Michael Kenny.